Premium SellerUniquesShop has been a Gold member on Bonanza since September 30, 2018. It's cool to be smart! 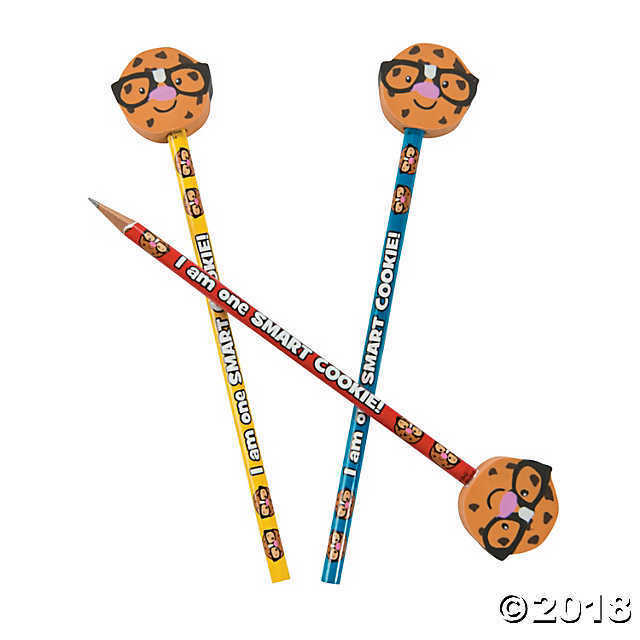 These Smart Cookie Pencils with Topper are must-have classroom rewards for all your little smartie pants! Great incentives for kids, these pencils are an excellent way to motivate and reward them for great grades, super scores and more! Pre-printed with, “I am one smart cookie!” Pencils have #2 lead. Wood pencil with rubber topper. 7" with 1 1/4" topper. Note:Currently, we do not ship to AP, AE, AA, APO, FPO, HI, and AK addresses, as well as PO boxes.